Aikido is a Japanese martial art which focuses on cooperation, rather than competition. 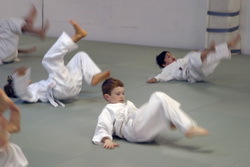 Children learn how to fall safely, avoid attacks and throw each other. They have fun playing challenging games that develop coordination, fitness and confidence. Children are taught in a fun but structured environment by highly skilled and experienced instructors. 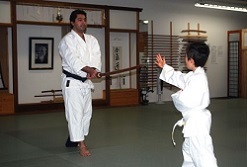 The emphasis is on body movement, agility, discipline, martial etiquette and basic Aikido skills. Please check the list of Kids Aikido Techniques for more information and belt requirements. No joint manipulation techniques will be taught. Classes are for children ages 7 to 13. 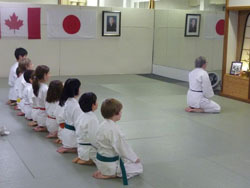 Older children can attend the adult beginners classes. 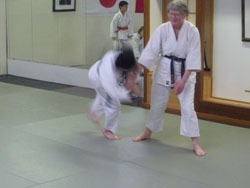 Please see instructor for Canadian Aikido Federation annual insurance of $20. 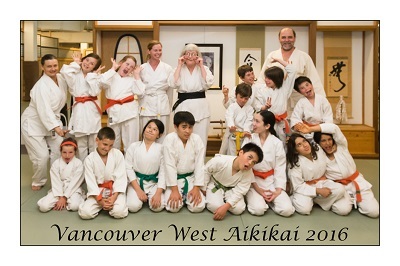 Vancouver West Aikikai is a non-profit registered society. Please check the schedule and fees section.